*LOWEST PRICE* Amazon – Lenox Judaic Blessings Kiddush Cup just $33.99 (reg $80)! 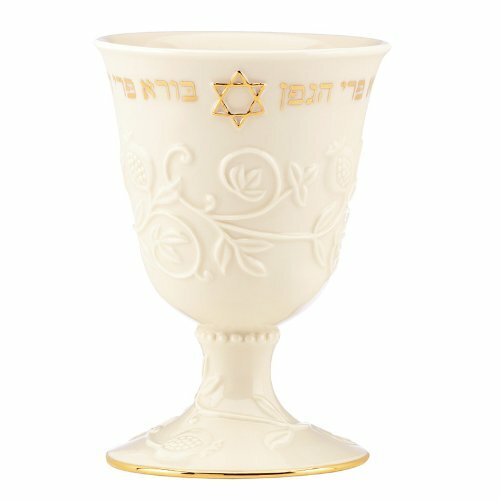 Pick up this gorgeous Lenox Judaic Blessings Kiddush Cup on sale for just $33.99 (reg $80) with FREE Prime shipping or free shipping with $35 purchase. This is the LOWEST PRICE its been on Amazon! Would make a beautiful hostess gift. *HOT! * Amazon – Suave Kids 2 in 1 Shampoo + Conditioner, Peach Smoothers 12 oz as low as $.61, Shipped! HURRY! Grab Suave Kids 2 in 1 Shampoo + Conditioner, Peach Smoothers 12 oz for as low as $.61 with FREE shipping when you clip the $1 off coupon on the product page, use Subscribe & Save and have 5 active Amazon Mom Prime subscriptions! 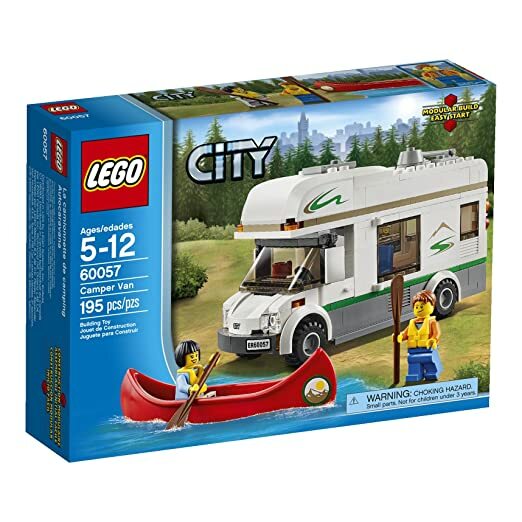 Amazon has the LEGO City Great Vehicles 60057 Camper Van on sale again for just $13.99 (reg $19.99) with FREE Prime shipping or free shipping with $35 purchase! 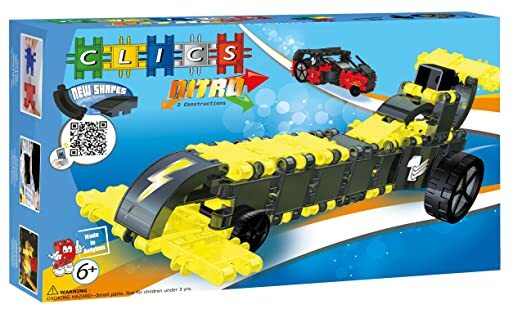 That’s 30% off, which is a great discount for Lego, and the LOWEST EVER Amazon Price! 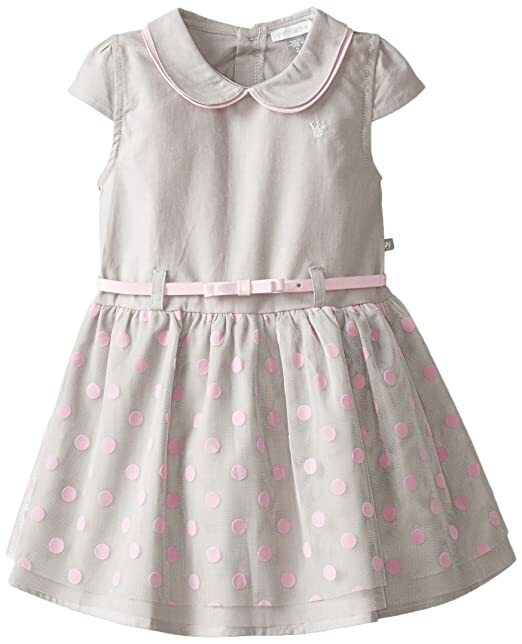 Here’s a roundup of adorable clothing sets for little girls sizes 2T-6X on Amazon! Some are great for play and some would even work for Shabbos/Yom Tov! FREE Prime shipping or free shipping with $35 purchase, plus FREE returns for all Prime-eligible items. If you’re unsure of the proper sizing (I usually size up), you can order a few sets and see what works – then return the rest for FREE! Yay! 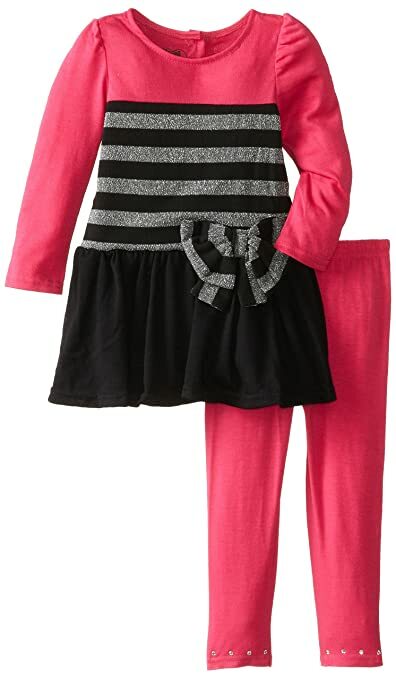 Little Lass Little Girls’ Two-Piece Hacci Tunic Set sizes 2T-5 for only $9.53 (reg $37)! 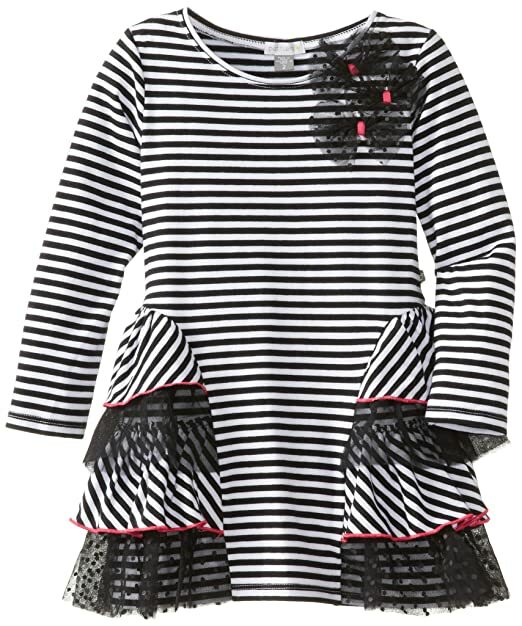 Young Hearts Little Girls’ Two-Piece Tiered Stripe Top with Pant Set in sizes 5 and 6 for just $12.69 (reg $42)! A.B.S. 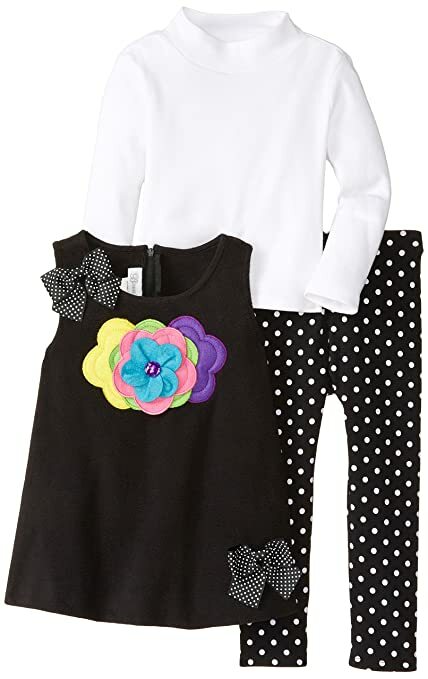 by Allen Schwartz Little Girls’ Lily Set in sizes 3T-6 for $13.48 (reg $48)! A.B.S. 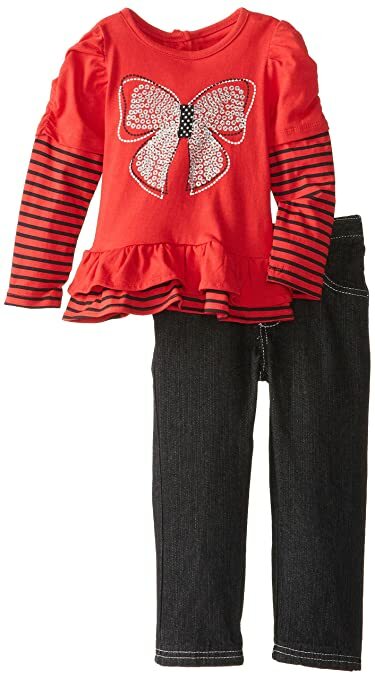 by Allen Schwartz Little Girls’ Isabella Set in sizes 2T-6X for $12.42 (reg $46)! 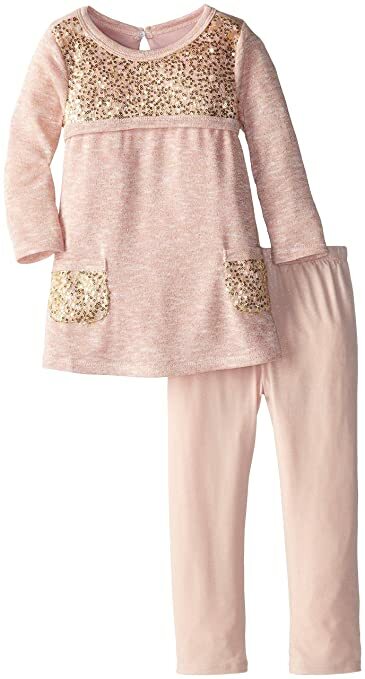 Bonnie Jean Little Girls’ Sequin Mesh Trimed Knit Legging Set in sizes 2T-4T for just $13.91 (Reg $58)! 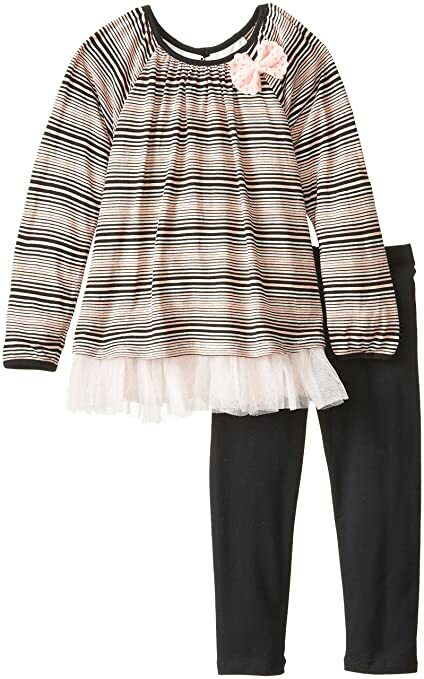 Young Hearts Little Girls’ 2 Piece Stripe Rosette Hatchi Legging Set in sizes 4 & 5 for just $12.24 (reg $48)! 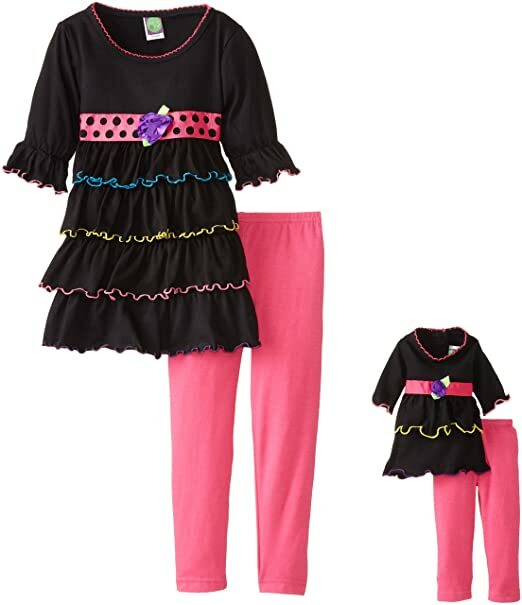 Dollie & Me Little Girls’ Tiered Ruffle Legging Set in sizes 4 & 5 for just $12.38 (reg $48)! 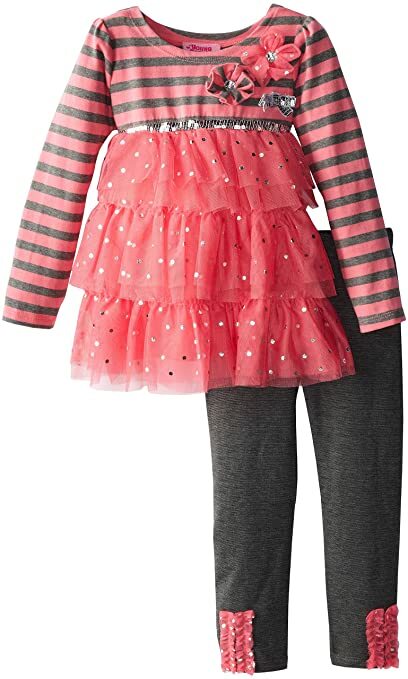 Young Hearts Little Girls’ 2 Piece Stripe Hatchi Legging Set in sizes 2T-6X for just $12.60 (reg $48)! Young Hearts Little Girls’ Two-Piece Floral Set in sizes 2T-4 for just $12.69 (reg $42)! 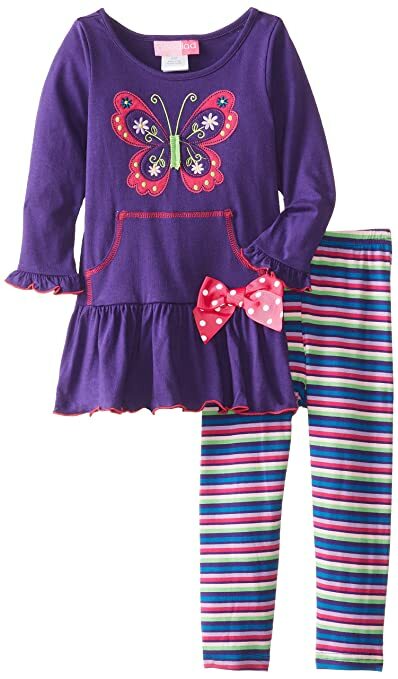 Bonnie Jean Little Girls’ Butterfly Multi Tier Legging Set in sizes 2T-4T for just $13.51 (Reg $52)! 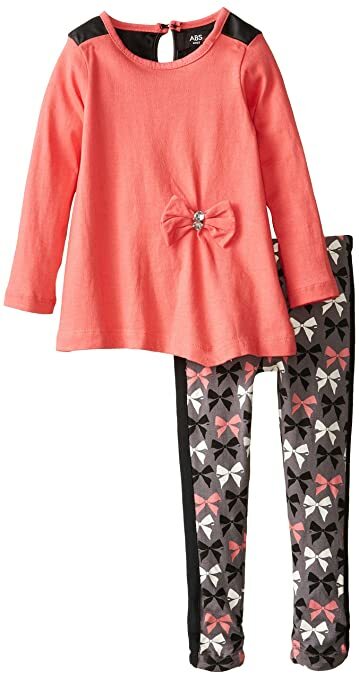 Bonnie Jean Little Girls’ Fleece Flower Legging Set in sizes 2T-4 for $12.99 (reg $52)! Young Hearts Little Girls’ 2 Piece Flower Sweater Dress W Tights in sizes 2T-4T for just $13.97 (reg $50)! Pippa & Julie Little Girls’ Striped Swing Play Set in 4T-6X for $10.29 (reg $38)! 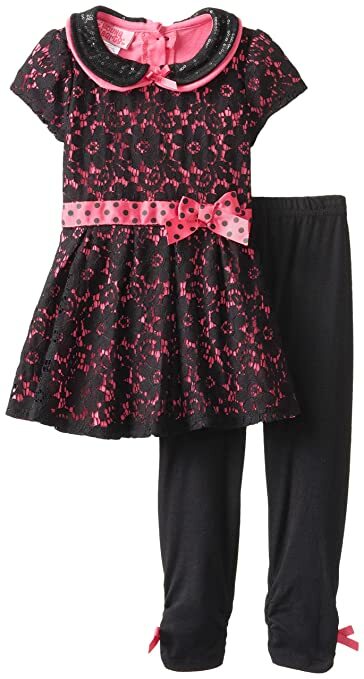 Pippa & Julie Little Girls’ Lace Dropped Waist Play Set in sizes 4-6X for just $10.84 (reg $40)! 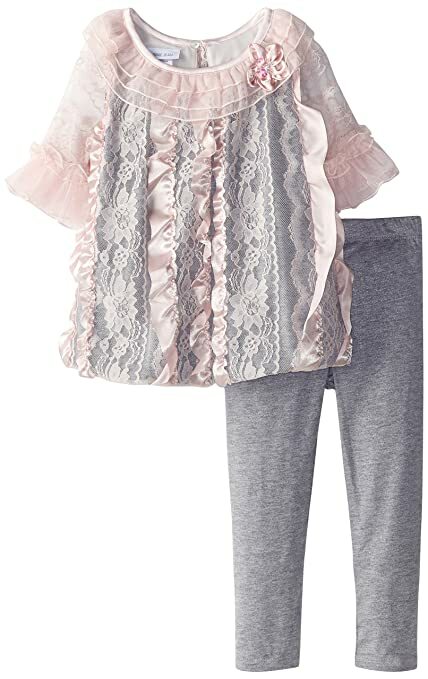 Youngland Little Girls’ Lace Peplum Legging Set in sizes 2T-6 for just $12.66 (reg $52)! 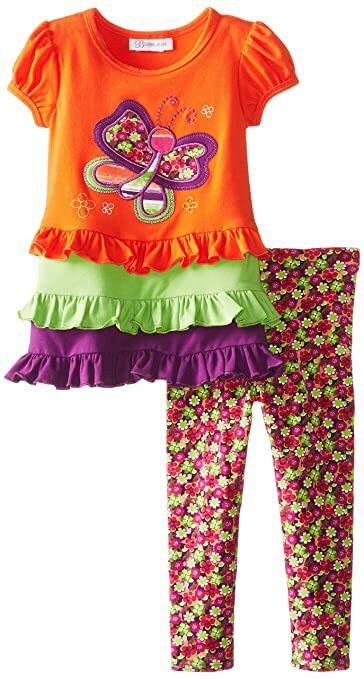 Good Lad Little Girls’ Butterfly Applique Legging Set in sizes 2T-4T for just $12.98 (reg $46)! 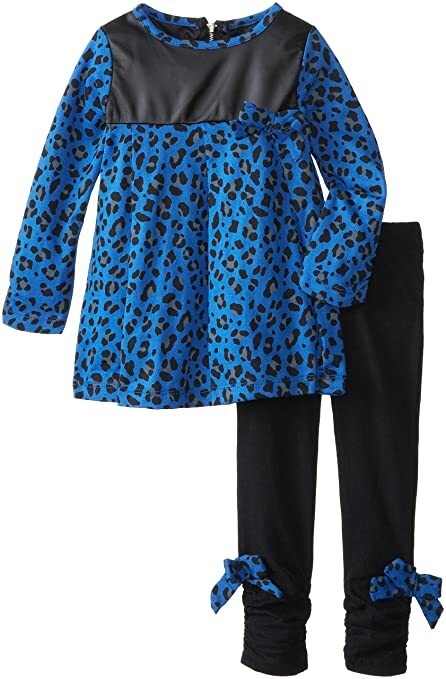 Young Hearts Little Girls’ Two-Piece Bow Top and Pant Set in sizes 2T-6X for just $10.56 (reg $40)! 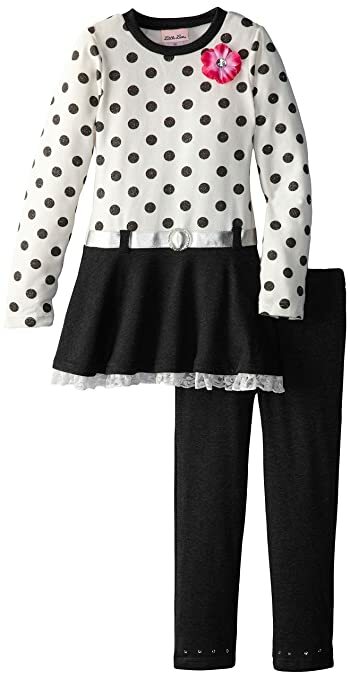 Pogo Club Little Girls’ Elsie-Bea Dot Sequin Chiffon Set in sizes 2T-4T from $8.53 in 3 colors (reg $38)! 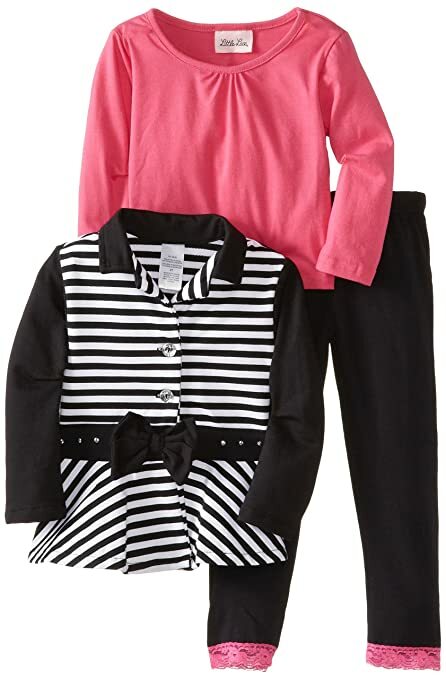 Little Lass Little Girls’ Three-Piece Stripe Jacket Set in sizes 2T-4 for just $10.46 (reg $43)! 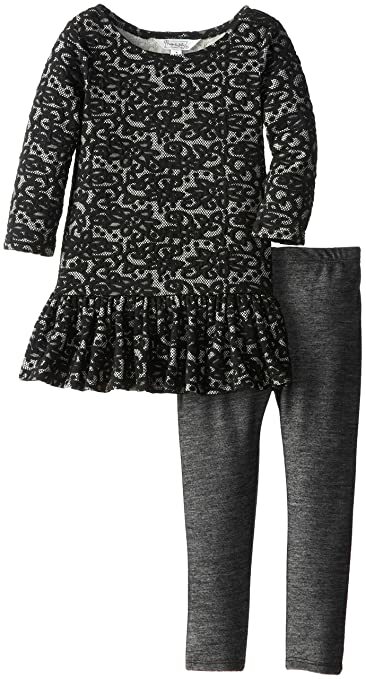 Ok Kids Little Girls’ 3 Piece Lace Legging Set in sizes 2T-6 for just $12.21 (reg $48)! 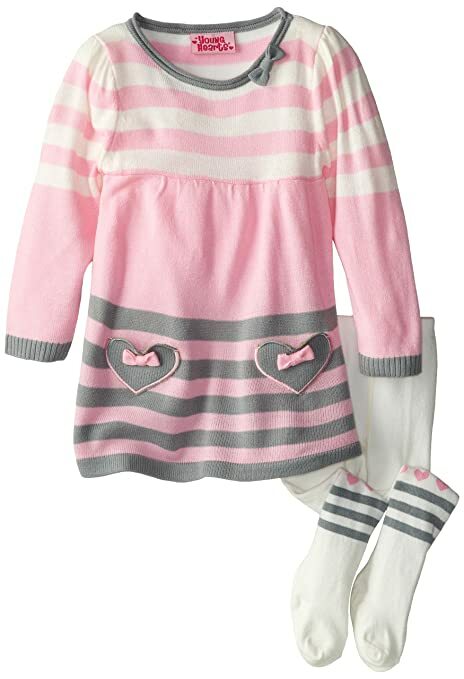 Young Hearts Little Girls’ 2 Piece Heart Sweater Dress W Tights, Pink, 2T in sizes 2T only for just $12.80 (reg $50)! 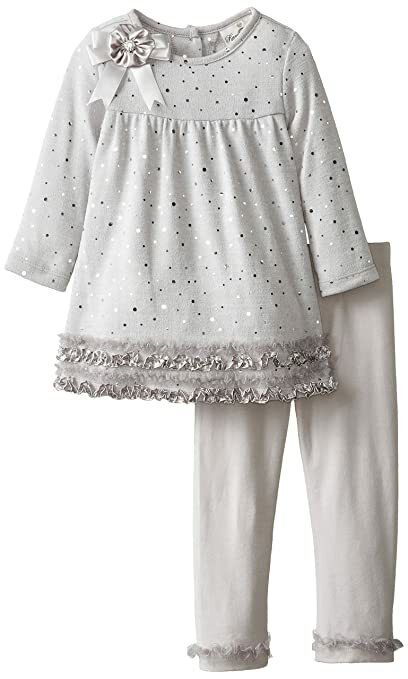 Rare Editions Little Girls’ Glitter Tiered Legging Set in sizes 2T-6X just $13.29 (reg $50)! 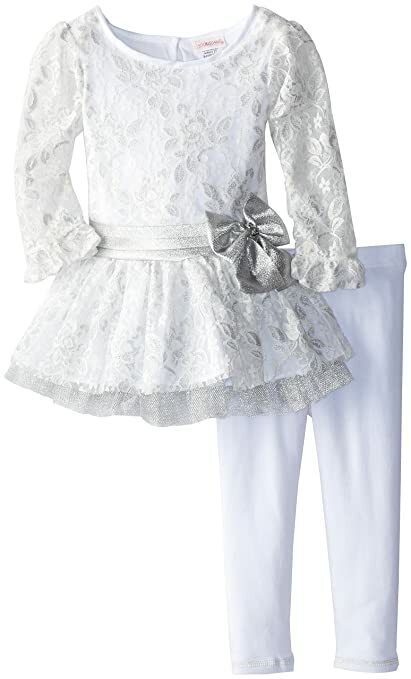 Bonnie Jean Little Girls’ Satin Tiered Lace Bubble Legging Set in sizes 2T & 3T for just $14.30 (reg $58)! 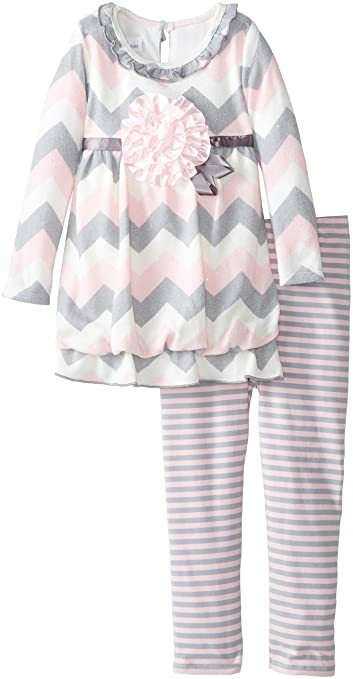 Bonnie Jean Little Girls’ Brushed Knit Chevron Bubble Legging Set in sizes 2T-4T for $15.64 (reg $52)! 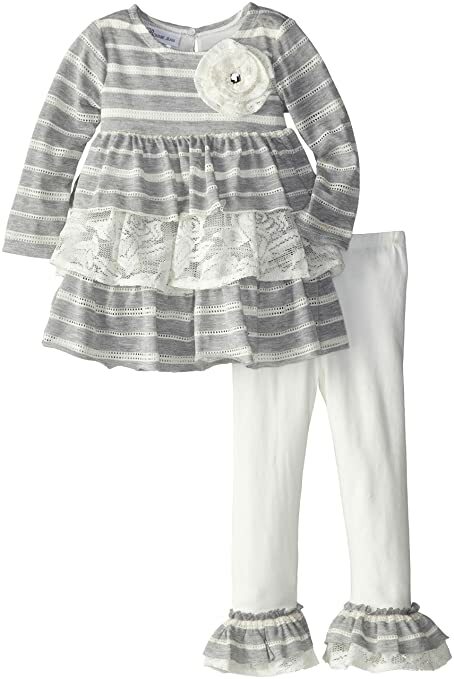 Bonnie Jean Little Girls’ Crochet To Heather Stripe Tiered Legging Set in sizes 2T-4T for just $13.91 (reg $58)! 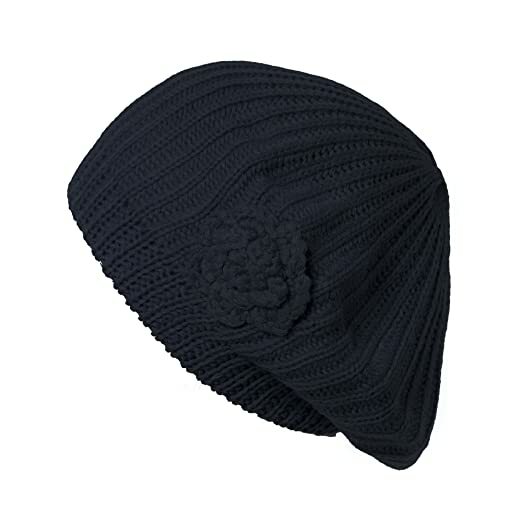 I’ve had my eye on this hat since it was $22.95…and I’m so happy to see Amazon has dropped the price significantly to just $14.95 $9.95 (reg $35) for the Womens Black Double Layer Slouch Knit Beanie Beret Hat with Flower Accent ! FREE Prime shipping, or free shipping with $35 purchase, plus FREE returns! Great reviews, 100% acrylic knit. *HOT! 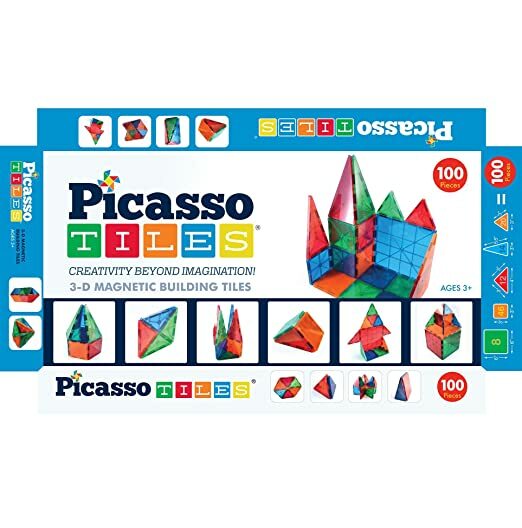 * Amazon – PicassoTiles® 100 piece set Magnet Building Tiles Clear 3D color Magnetic Building Set just $79.99 (reg $129.99) + FREE Shipping! 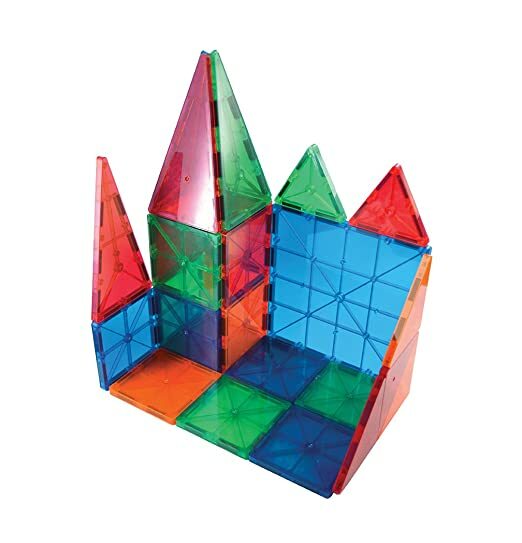 These ARE compatible with the Magna-Tiles brand – we have this brand and they are AMAZING!! 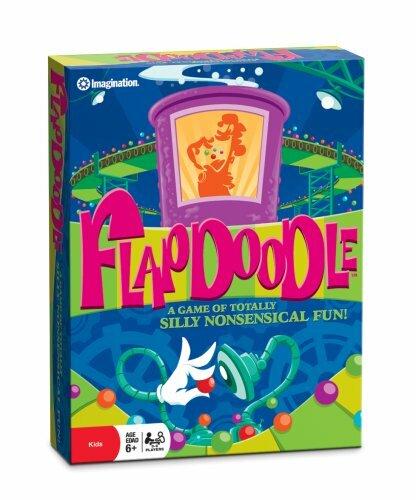 Amazon – Imagination Flap Doodle Board Game just $11.79 (reg $19.95)! 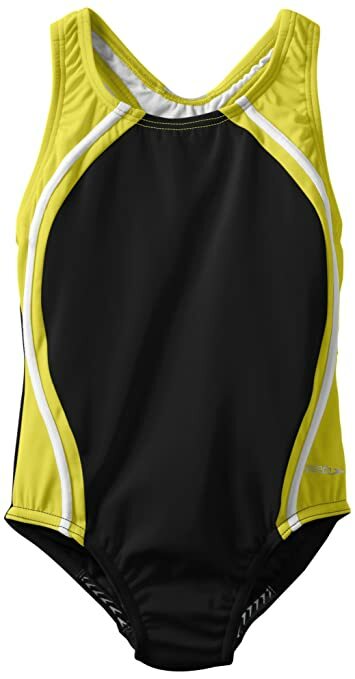 It’s just $11.79 right now (reg $19.95) on Amazon with FREE Prime shipping or free shipping with $35 purchase. *HOT PRICE! * Amazon – CLICS TOYS Girls Glitter Toy, 100 Piece Set just $10.41 (reg $17.99)! UPDATE: Up to $17.99 😦 Those Clic deals go FAST! I posted these a little while back and they’re available again! Yay for girly clics! 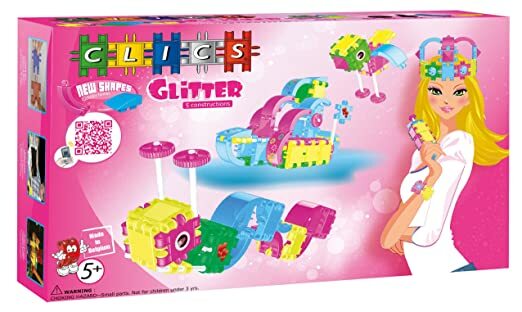 Amazon has the CLICS TOYS Girls Glitter Toy, 100-Piece on sale for just $10.41 (Reg $17.99) with FREE Prime shipping or free shipping with $35 purchase! *LOW PRICE! * Amazon – Sara’s Prints “Chanukah” PJ’s, Unisex, sizes 8 or 10 only, just $5.98 (reg $32)! Pick up the Sara’s Prints Unisex Long John Pajamas, Hanukkah in the “Hanukkah” print – sizes 8 or 10 only – for just $5.98 (reg $32) with FREE Prime shipping, or free shipping with $35 purchase, plus FREE returns! These would work for a boy or girl! Click Here to grab a pair! 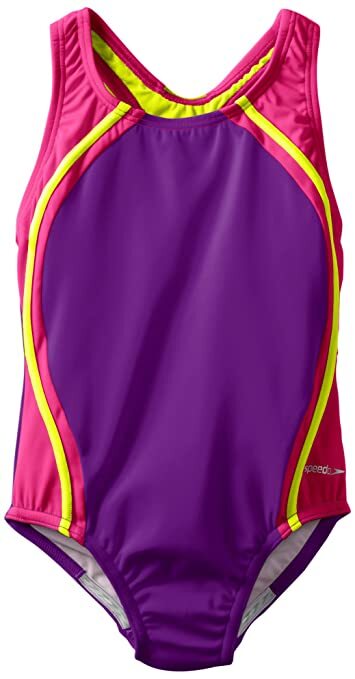 Amazon has the Speedo Big Girls’ Sport Splice One-Piece Swimsuit on sale in the following size/color combos! Use code SHOPSPRING for 20% off with FREE Prime shipping or free shipping with $35 purchase, plus FREE returns! *HOT PRICE! HURRY! 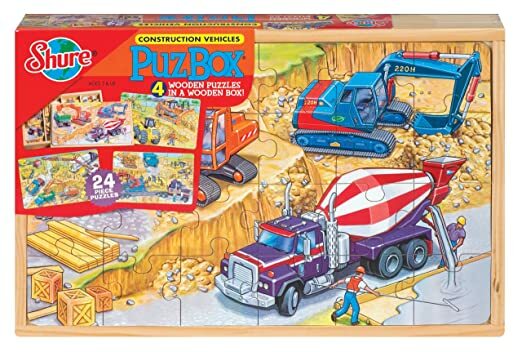 * Amazon – CLICS TOYS Nitro Toy, 100 piece Set just $7.76 (reg $18.99)! *LOWEST PRICE! 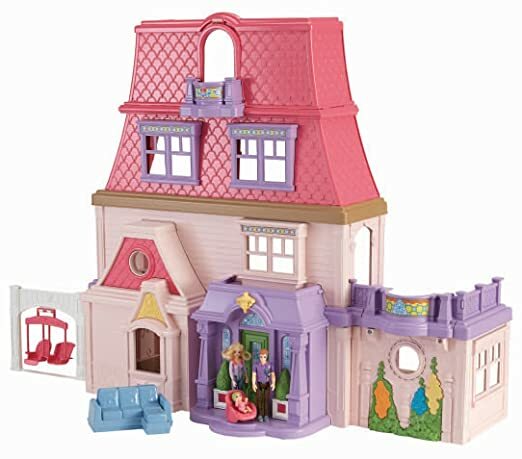 * Amazon – Fisher-Price Loving Family Dollhouse just $39.97 (reg $69.99) + FREE shipping! GREAT Gift Idea (Pesach)! Here’s a fantastic gift idea for Pesach/Afikoman! Amazon has the Fisher-Price Loving Family Dollhouse on sale for $39.97 (reg $69.99) with FREE shipping! This is the LOWEST EVER Amazon price! Click Here to get this deal! Hurry before the price goes back up! 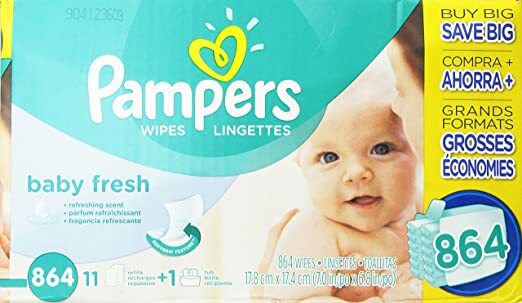 Amazon – Pampers Baby Fresh Wipes 12x Box with Tub 864 Count as low as $16.98, Shipped! Need wipes? Amazon has Pampers Baby Fresh Wipes 12x Box with Tub 864 Count for as low as $16.98 with FREE shipping when you use Subscribe & Save and have 5 active Amazon Mom Prime subscriptions! Just $.019 a wipe! 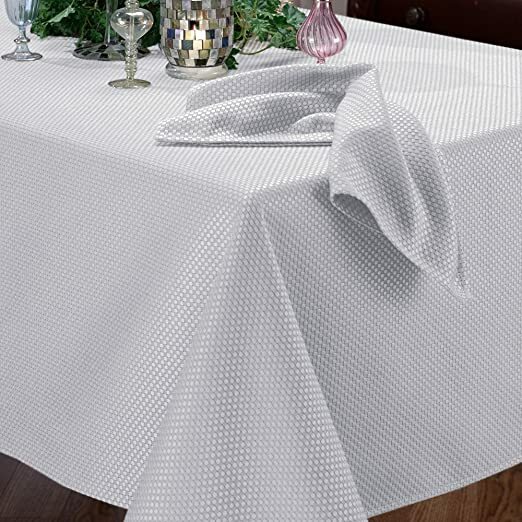 Amazon – Benson Mills Prego Waffleweave Fabric Tablecloth, White, 60-Inch-by-120-Inch just $10.79 (Reg $39.99)! *HOT! 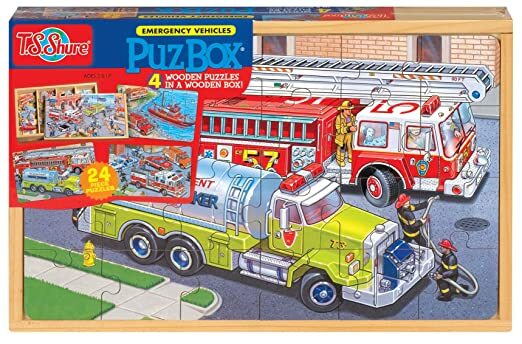 * Amazon Deal of the Day: 40% Off Select Puzzles & Crafts from T.S. Shure! 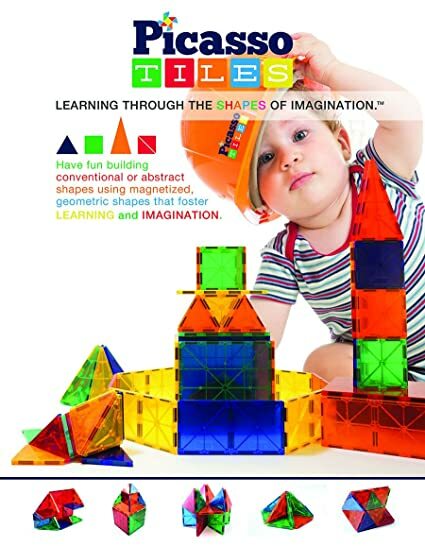 Amazon’s Deal of the Day: 40% Off Select Puzzles & Crafts from T.S. Shure ! 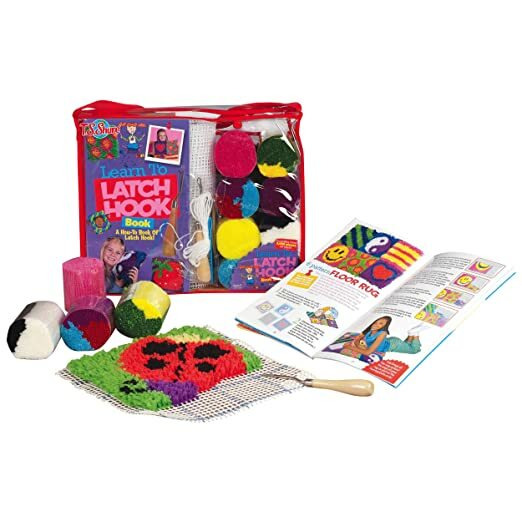 These sets are super cute and highly rated – great gifts! Shipping is FREE with your Prime account or with $35 purchase. Shop NOW for best selection – the most popular sets will sell out fast! T.S. 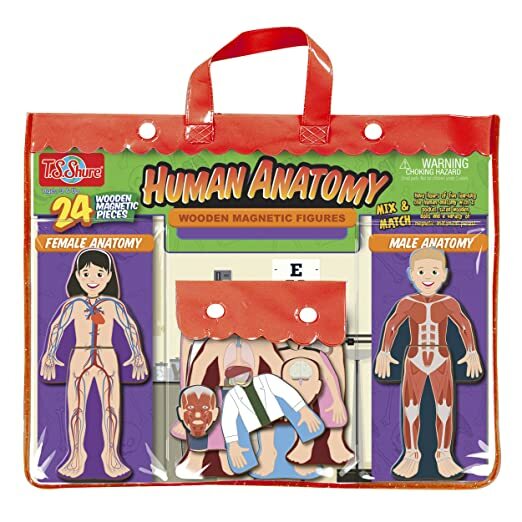 Shure Human Anatomy Wooden Magnetic Figures just $11.99 (reg $19.99). Super cool! 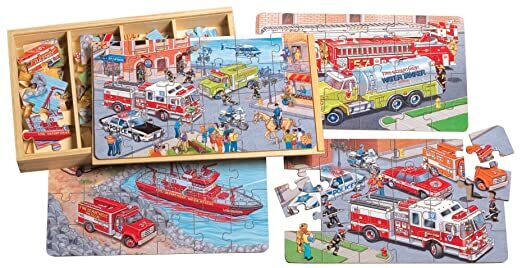 T.S Shure Emergency Vehicles 4 Large Puzzles in a Wooden Box just $11.99 (reg $19.99)! T.S. 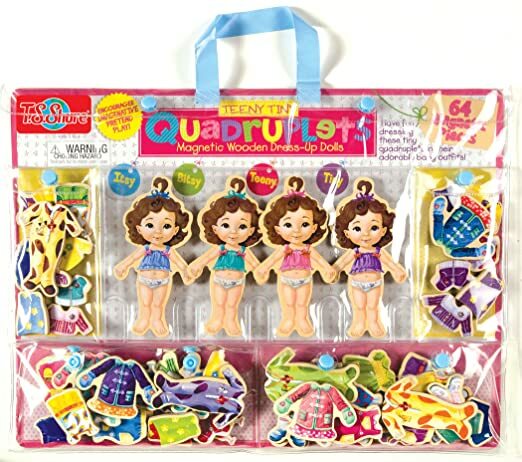 Shure Teeny Tiny Quadruplets Wooden Magnetic Dress-Up Dolls just $11.99 (reg $19.99)! T.S. 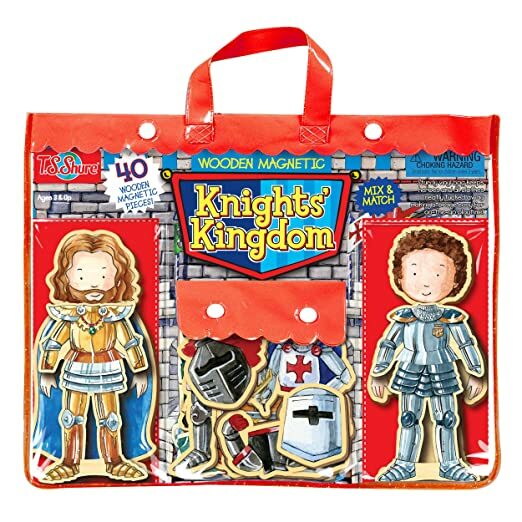 Shure Knights’ Kingdom Wooden Magnetic Heroes just $11.99 (reg $19.99)! T.S. 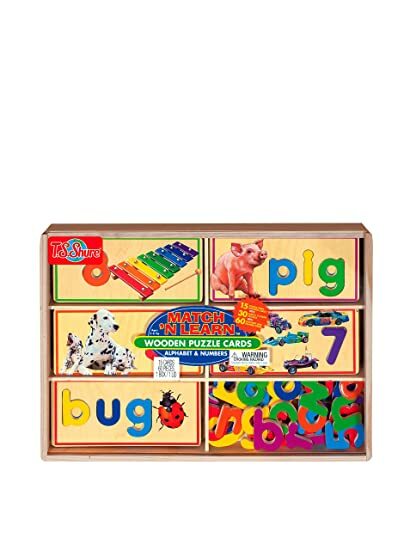 Shure Match ‘N Spell Alphabet And Numbers just $23.99 (reg $39.99)! T.S. 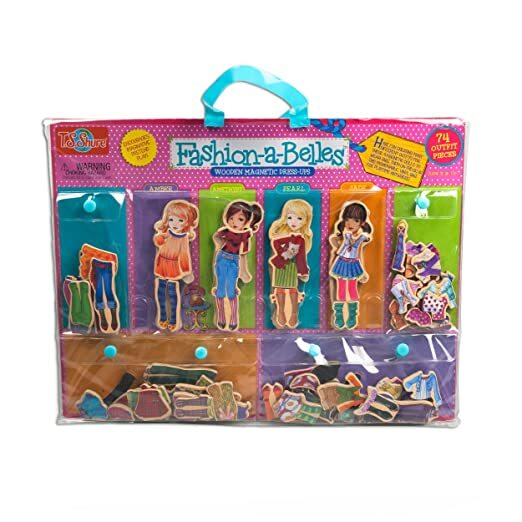 Shure Fashion-A-Belles Minis Wooden Magnetic Dress-Up Dolls just $11.99 (reg $19.99)! T.S. 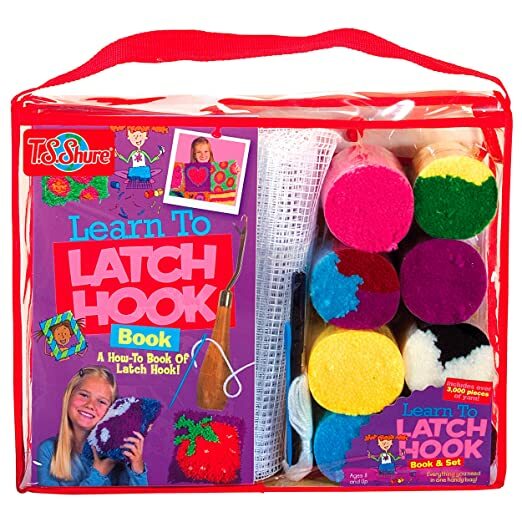 Shure Learn to Latch Hook Book & Set just $17.99 (Reg $29.99)! T.S. 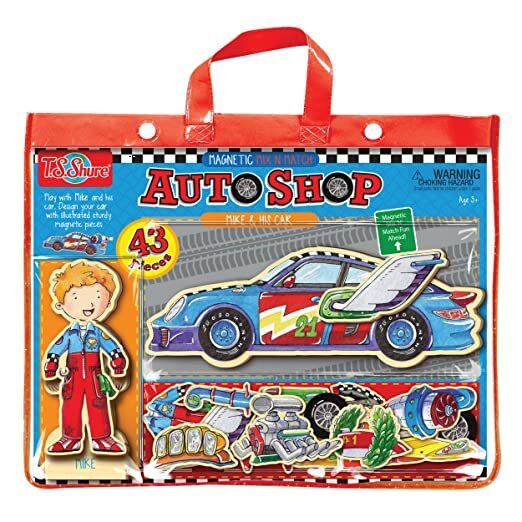 Shure Auto Shop Mike and His Car Magnetic Action Hero Doll just $11.99 (reg $19.99)! T.S. 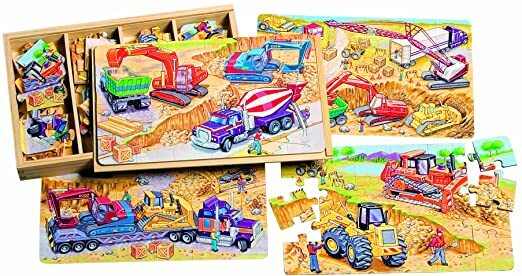 Shure Construction Vehicles 4 Large Puzzles in a Wooden Box just $11.99 (reg $19.99)! *HOT! 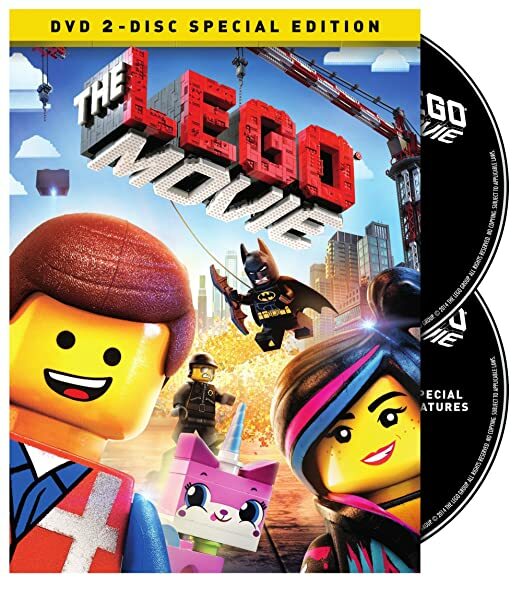 * Amazon – The LEGO Movie (DVD) just $7 (reg $28.98)! Amazon has The LEGO Movie (DVD) for just $7 (reg $28.98) with FREE Prime shipping or free shipping with $35 purchase! BEST PRICE! Cardholders can used codes BUNNY30 for 30% off and FREE4MVC for FREE shipping to drop the price to just $9.09! Awesome! Whooohooo, the next Kohl’s 30% off event for cardholders starts TODAY! You’ll also earn $10 in Kohl’s Cash for each $50 spent! Crock-Pot 7-qt. Slow Cooker for $29.99 – 30% = just $20.99! Jumping Beans® Print Tee Dress – Girls 4-7 for $11 – 30% = just $7.70! I bought a few of these last 30% off sale and they are SO cute – PERFECT for spring/summer! Van Heusen Pinstripe Suit Set – Toddler Boy 2T, 3T or 4T for $27.60 – 30% = just $19.32! T-Fal Specialty 12-qt. Nonstick Aluminum Stockpot for $29.99 – 30% = just $20.99! This is MY Pesach soup pot – love it! The Big One® Microfiber Pillow – Standard/Queen just $4.99 – 30% = just $3.49! 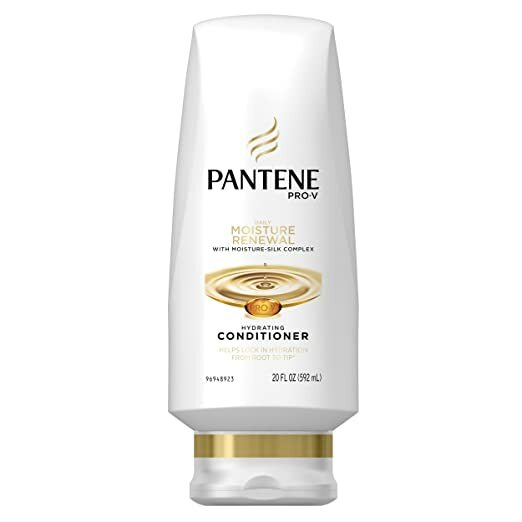 Amazon – $1.50 Off Pantene Coupon + Subscribe & Save = *HOT* Deals starting from just $.89!! 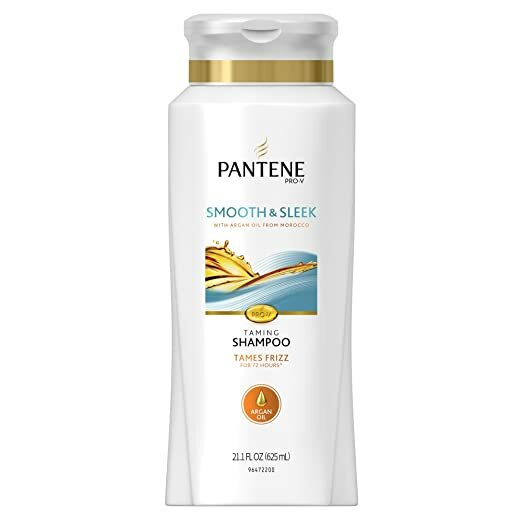 Amazon has a $1.50 off Select Pantene Products Coupon out! Save even more when you use Subscribe & Save and you’ll also get FREE shipping! Coupon can be used only 1x per account. 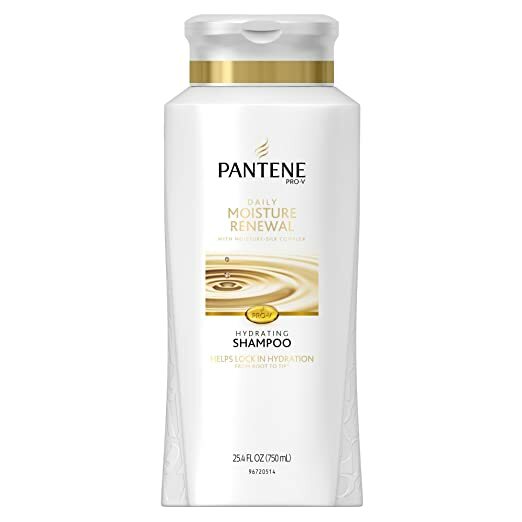 Pantene Daily Moisture Renewal Shampoo, 25.4 Fl Oz as low as $2.58 with Subscribe & Save and 5 active Amazon Mom Prime subscriptions! 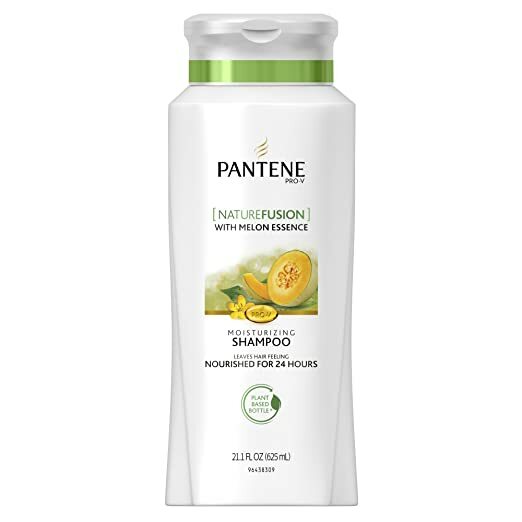 Pantene Pro-V Nature Fusion Moisturizing Shampoo With Melon Essence – Powered By Cassia, 21.1 Fl Oz, 21.100-Fluid Ounce as low as $2.32 with Subscribe & Save and 5 active Amazon Mom Prime subscriptions! I recently bought some Petite Lem dresses on Amazon for my 2 little girls, ages 3 and 4 years, and LOVE them! Great quality, adorable styles and girly details! We love them and the prices are just fabulous on Amazon! 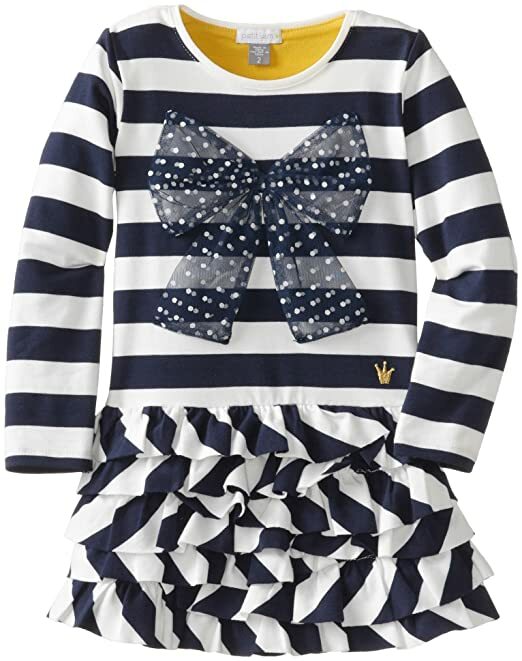 Petit Lem Little Girls’ Glamorous Stripe Long Sleeve Knit Dress in sizes 2-7 years for just $11.33 (reg $48)! Petit Lem Little Girls’ London Style Long Sleeve Dress Knit in sizes 2-7 just $19.36 (reg $46)! Petit Lem Little Girls’ X Missy Long Sleeve Knit Dress in sizes 2-7 just $15.60 (reg $62)! 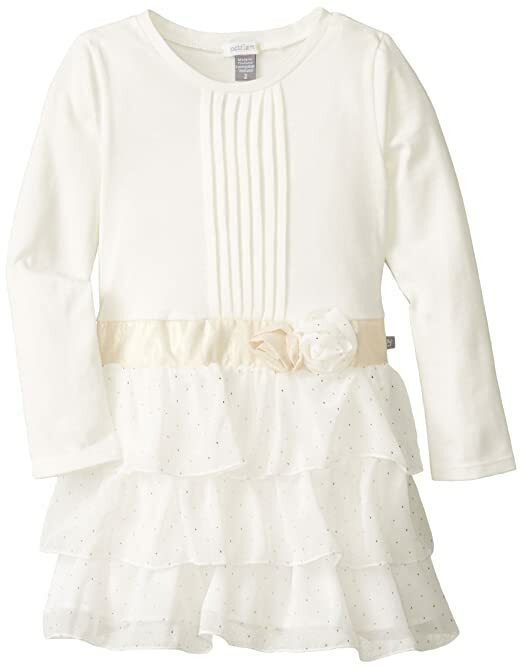 Petit Lem Little Girls’ White Winter Long Sleeve Knit Woven Dress in sizes 2-7 for just $14.41 (reg $52)! 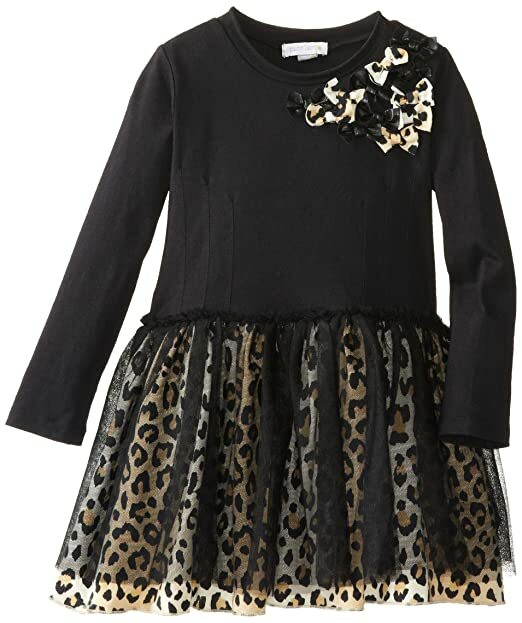 Petit Lem Little Girls’ Animalicious Long Sleeve Knit Dress in sizes 2-7 for just $12.10 (reg $52)! 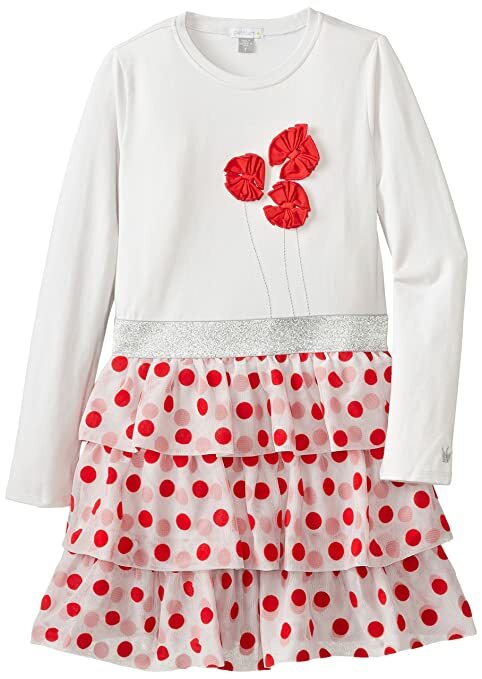 Petit Lem Little Girls’ Miss Masquerade Short Sleeve Woven Dress in sizes 2, 6 & 7 for just $16.21 (reg $60)! Petit Lem Little Girls’ Be Classy Dogs 2 Piece Pant Sleep Set in sizes 2, 4 and 5 for $11.52 (reg $28)! 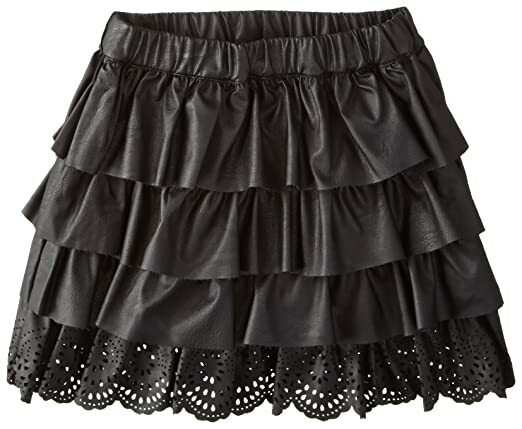 Petit Lem Little Girls’ Animalicious Woven Skirt in sizes 2-7 for just $13.08 (reg $56)! 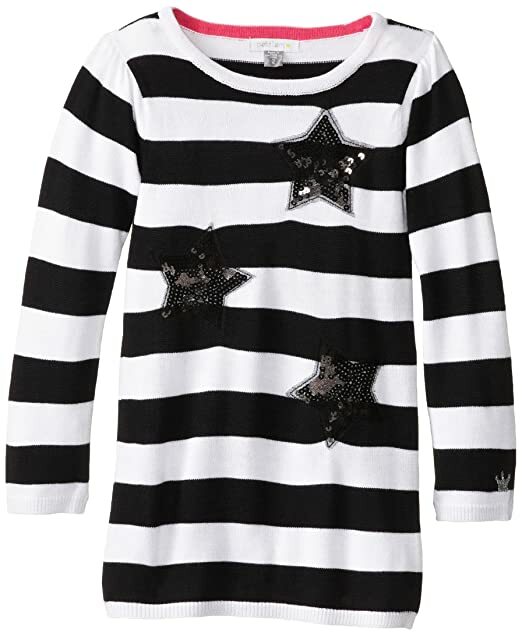 Petit Lem Little Girls’ Glamorous Long Sleeve Knit Dress in sizes 2, 3, 4 & 7 for just $10.18 (reg $48)! 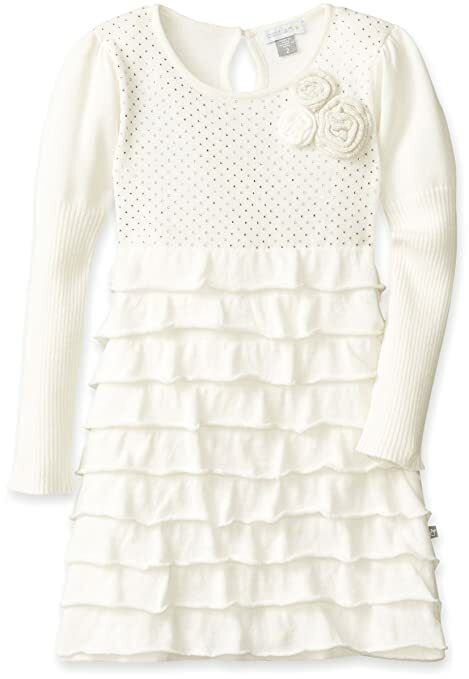 Petit Lem Little Girls’ White Winter Knit Sweater Dress in sizes 2-7 for just $15.30 (reg $55)! *HOT! * Amazon – Babyganics 3X Baby Laundry Detergent, Fragrance Free, 60 Fluid Ounce as low as $5.40 or Babyganics Flushable Baby Wipes (Pack of 3) for as low as $4.71, Shipped! Save 50%! 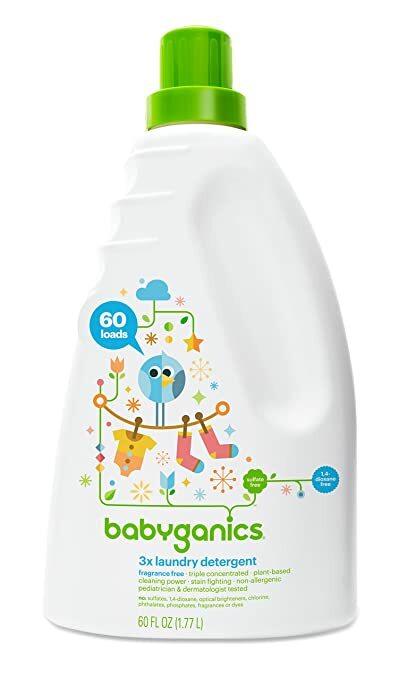 Amazon is offering Babyganics 3X Baby Laundry Detergent, Fragrance Free, 60 Fluid Ounce for as low as $5.40 with FREE shipping when you clip the 50% off coupon on the product page, use subscribe & Save, and have 5 active Amazon Mom Prime subscriptions! 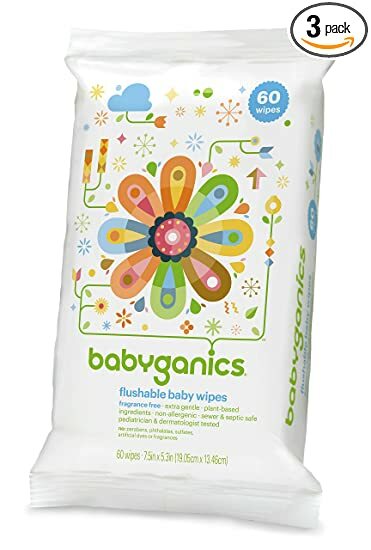 Another option for the 50% off coupon (single use) is Babyganics Flushable Baby Wipes, Fragrance Free, 60 Count – Packaging May Vary (Pack of 3, 180 Total Wipes) for as low as $4.71 after 50% off coupon, Subscribe & Save, and 5 active Amazon Mom Prime subscriptions!